When I was a teenager I was lucky enough to go to Florida with my family for our summer holiday. Needless to say, we were having a jolly old time, holidaying here, vacationing there. All of that fun can be hungry work, and as we were in the big US of A, we thought it would be great to go to one of those American all-you-can-eat diners. We'd had a lovely meal (please don't stop reading, I will get to the point, I promise! ), we were all stuffed, and it was clearly time for dessert (there's always room for ice cream, after all...). Before we continue, I must mention one thing, and that thing is my younger brother. He's...well, he can be a bit...mischievous from time to time. He'd already been told off for being hugely inspired by the Pirates of the Caribbean ride in Disney World and trying to make my younger sister walk the plank off of a kayak she was in later on in the Florida Keys. Of course, the kayak had no plank, it was mostly just my brother pushing my sister into a jellyfish-infested lagoon. Why, at that very dinner, my brother had already called me over to the dessert area and made me cry with laughter showing me how the ice cream that squirted out of the machine looked astonishingly like poo. It was true, it did! Our laughter was getting us a lot of disgruntled looks from the others trying to enjoy their meals in the restaurant, and not wanting to be those guys, we tried our best to simmer down the frivolity. 'What have you DONE?!' my dad asked angrily. To this day, I still don't know why there were so many milk pods on the floor of that restaurant. Jamie Littler graduated from the Arts Institute at Bournemouth in 2008 and won a High Commendation in the Macmillan Children’s Book Award. He is the creator, writer and illustrator of the comic series Cogg and Sprokit which was serialized in the Phoenix Comic. 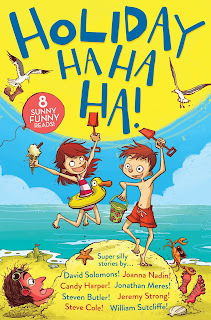 He’s illustrated many children’s books including Hamish and the WorldStoppers and Hamish and the NeverPeople, and is the cover illustrator for Holiday Ha Ha Ha! 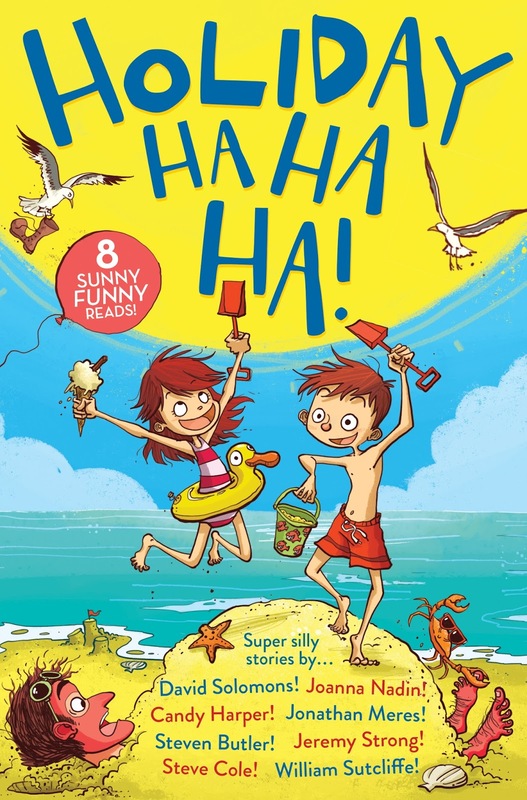 From amazing aliens and strange superheroes to fantastic forests and crazy creatures; from ghoulish ghost tours and tiresome traffic jams to super spies and terrible talent shows – you’ll be laughing all summer with these eight summer sillies!